The term restomod gets tossed around in gear head articles to describe a combination of restoration and modification of a classic car. 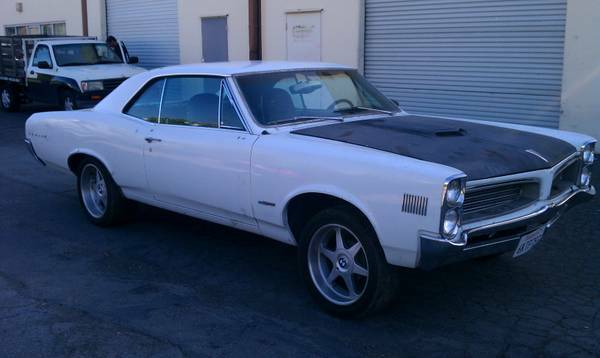 This 1966 Pontiac LeMans 2-door is powered by a modern Chevy LS1 V8 + 6spd (probably from a late model Camaro) with late model wheels and is offered for $8,500 via craigslist in Fremont, CA. 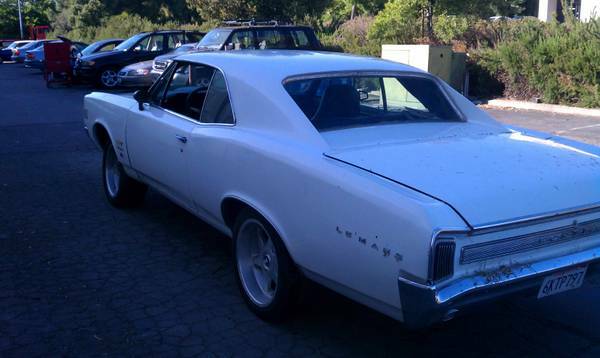 This is another example of a seller offering limited details in his advertisement, but the asking price is much lower than we'd expect for a modern fuel injected V8 powered 2-door Lemans coupe. It probably needs some work or has rust, but if it is a running, driving and you can't see the road from inside -- the asking price is nice. I think you meant to say Restomod Goat Clone.